Pickling fish is a wonderful way to utilize freshwater fillets. If you like pickled herring, you’ll love home pickled fish. Almost any freshwater fish will work, and you can experiment with assorted flavors by adding hot peppers, peppercorns, lemon slices, or fresh herbs. 1. Freeze fish for 48 hours or more. 2. Defrost fish in a fridge to maintain firm texture. 3. Cut fish into 1 to 2-inch pieces. 4. 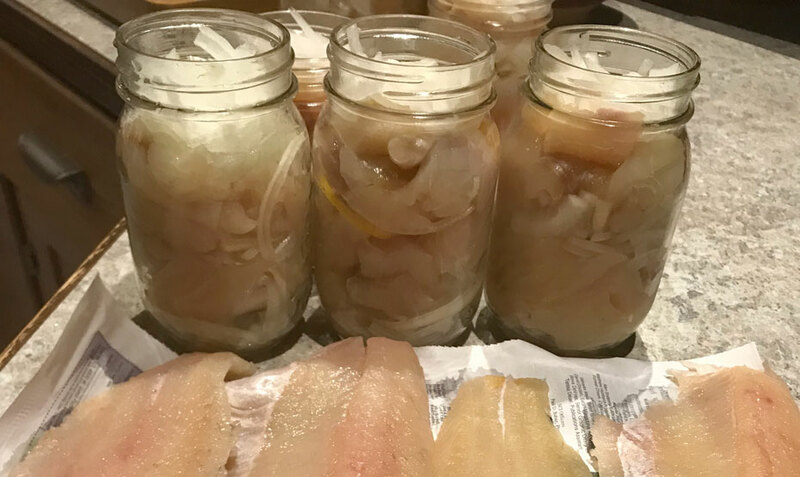 Place loose layers of fish and onions into five, pint jars. 5. Place lids on jars and refrigerate. 6. Combine vinegars, sugar, wine, salt, and pickling spice in a saucepan. Bring the mixture to a boil stirring constantly until sugar is dissolved. Remove from heat and let cool completely. 7. Cover jarred fish completely with the prepared brine. 8. Seal jars using two-part sealing lids. 9. Refrigerate for 10 days before serving. The pickled fish can be stored in the refrigerator up to four weeks once ready. Pursuit Channel has announced a new, long-term agreement with Cox Communications, a cable-television icon based in Atlanta Georgia, which provides TV, internet, digital telephone, home security and tech solutions to millions of its residential customers. 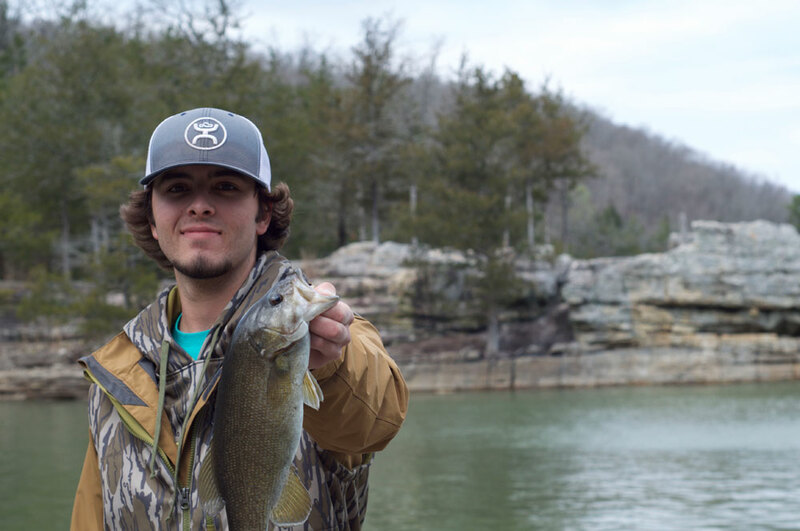 Gigging suckers is an Ozarks tradition that has been enjoyed for hundreds of years. The first ones to start this unique method of gathering fish was done in wooden flat bottom boats with a basket that contained a burning pine knot so that they were able to see in the dark when going down the river. One of the problems we have at this time of year is that there’s so much food in every section of the lake that the walleyes really don’t have to do anything to find bait to eat. The bait fish that have hatched in the spring are now big enough to feed any walleye I may want to catch.